The Shirak Group is one of HDIF's largest producer partners. It was established in November 2016 when the current head of the group, Gayane Hovsepyan, a talented crochet artisan from Gyumri, met HDIF Founder Tim Straight at HDIF's office in Impact Hub. The outcome of their meeting was the creation of a new producer partner group comprised of women of different ages from around the Shirak region. 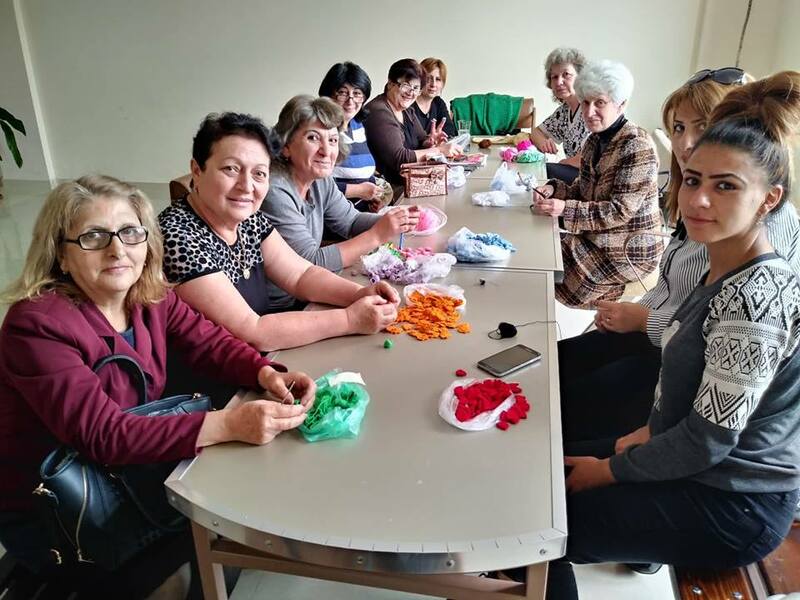 With the help of World Vision Armenia's Amasia office, and Gayane's son, Karapet, who plays a central role in the operation, Gayane began training local women in the art of crocheting. Today, the Gyumri-based Shirak Group employs 35 highly skilled and motivated crocheters in a centrally-located building. The crocheters' personal stories highlight the great need for these jobs. Some of the women have husbands working abroad and this income is often the only way for them to support their families between remittances. Retired women enjoy the camaraderie of crocheting together in a pleasant atmosphere, while supplementing their pensions. Crocheters may also work from home, so they can earn an income and continue to care for their children. Responsibilities are divided between the core group members according to their previous training and experience. For example, a woman who was formerly an accountant manages the finances, someone who was the head of the textile factory storehouse is responsible for raw materials allocation and storage. Similarly, former designers handle product development, and former teachers train new employees. Gayane oversees quality control and production planning. The order from Italy has challenged the Shirak Group to become stronger, better organized, and hire new crocheters. For all of HDIF's producer partners, more orders mean job creation and economic development in the region. Shop the beautiful products (shown below) made in Gyumri by the Shirak Group at www.hdif.org. Ring rattles and stick rattles come in different animal designs and colors.